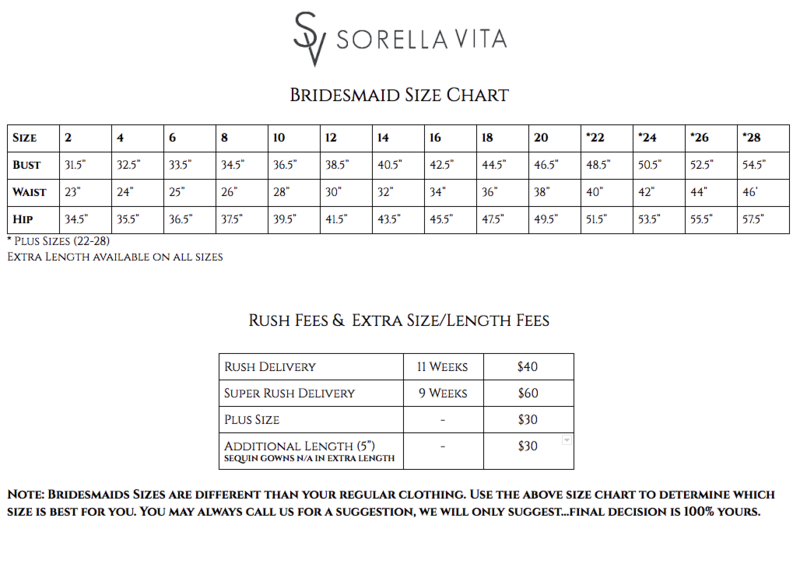 Note: Bridesmaids Sizes are different than your regular clothing. 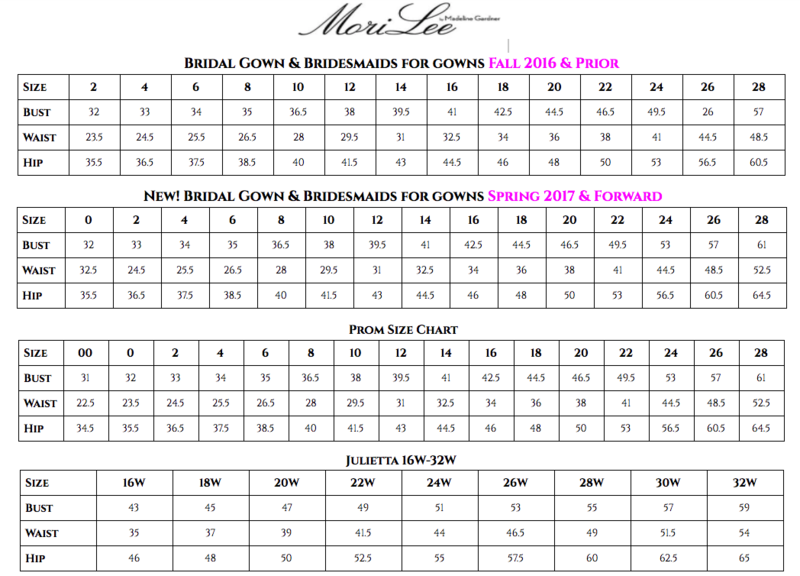 Use the above size chart to determine which size is best for you. ​You may always call us for a suggestion, we will only suggest...final decision is 100% yours.